Be You, No One Else Can: Dissertation Done & Dusted! Throughout this year, as previously posted about, I have been completing research to write a dissertation. 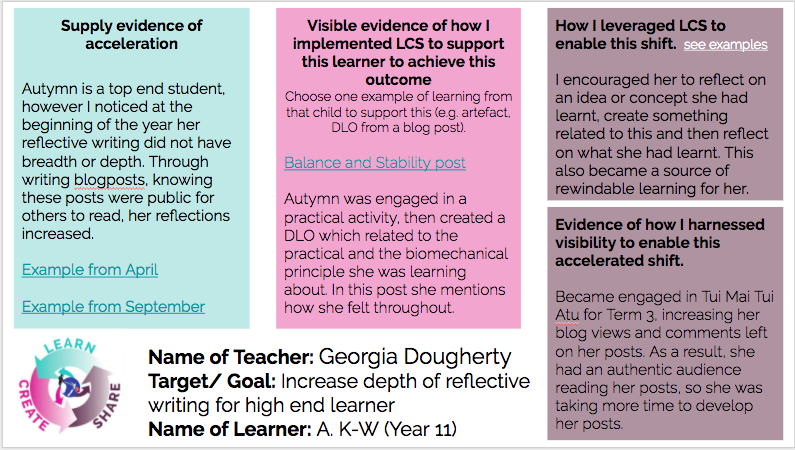 Simplistically, I was investigating the potential for blogging within Year 11 PE. On Monday afternoon I handed in my 32 page dissertation and it felt amazing! The past two years have been intense teaching full time and studying part time, but I'm glad to get through. I learnt a lot about myself, my practice and technology within the classroom. If anyone would like to read it, you can access it here! 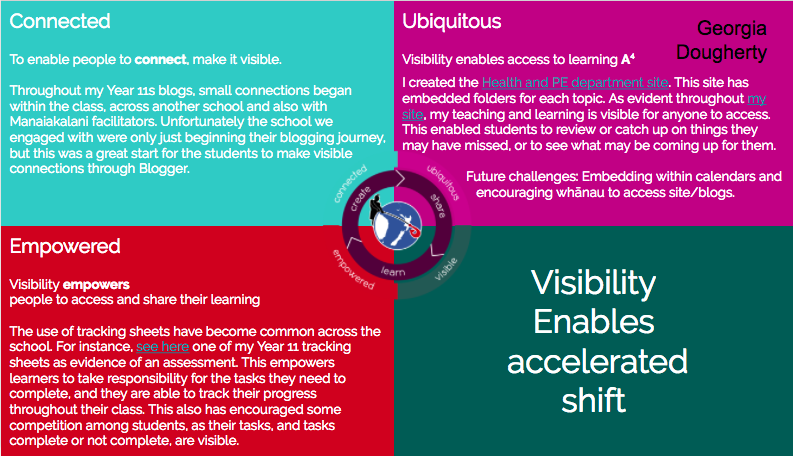 The staff at school were encouraged to reflect on the Manaiakalani cluster-wide pedagogy Learn, Create, Share, as well as the core of the cluster. I decided to write my reflections based on one of learners from my study, as this has been at the forefront of my mind. The study demonstrated the potential blogging has in education, particularly in specialised disciplines like PE. The students became more reflective, their literacy (traditional and digital) increased and there was more peer to peer teaching. 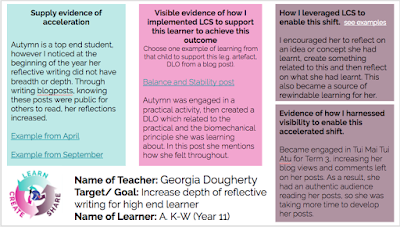 When implementing blogging within my teaching and learning in the future, I need to provide a structure for students, ensure they understand the purpose of the blogging, and encourage students to provide further feedback and feedforward as comments on blogposts for their peers (evident from my research and literature). Overall, it has been really difficult reading dozens of academic articles, writing late at night and including a pedagogical tool I only knew about from writing my own posts! But, my inquiry/dissertation has shown me how powerful writing blogs can be for learners, so I hope to include in future classes. In 2018, I am interested to explore literacy in Health and PE as my inquiry. I have noticed many of our NCEA assessments are evidence towards literacy credits, but some of the students struggle to write. Although their content may be correct, sometimes I struggle to read the students' assessments as they have poor spelling or grammar, or a lack of paragraphs. Therefore, although one hurdle and challenge is over, I am looking forward to more challenges next year! Thank you for the feedback Jason. There is definitely a gap in the literature about the inclusion of technology in HPE. I found blogging to have lots of positives for the students, but obviously a long way to go! Teaching Sexuality Isn't That Scary!